Lincoln Electric® is embarking on a multi-faceted plan to raise welding education standards across the US and beyond through a newly approved partnership with the National Coalition of Certification Centres (NC3). 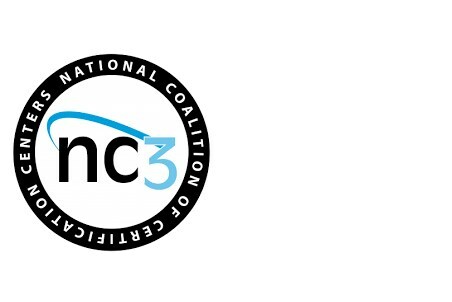 NC3 is a nonprofit network of education providers and corporations focused on bridging the gap between education and industry workforce needs. The new partnership with Lincoln Electric gives NC3 the authorisation to administer Lincoln Electric’s Education Partnerships Schools (LEEPS) programme and offer new certifications to provide community colleges, technical schools and other post-secondary trade schools with a complete suite of portable, stackable national welding certifications. As part of the agreement, NC3 will develop and issue the LEEPS program’s world-class industry certifications, ensuring strong national standards for welding instructor training, classroom curriculum, competency labs, qualification exams and digital certification issuance. Lincoln Electric will ensure the certifications are in alignment with standards set by the American Welding Society, a recognised authority in welding education and training. The plan also calls for establishing a series of national-standard Lincoln Electric training centres across the country as extensions of Lincoln Electric’s Welding Technology & Training Centre located in Cleveland, Ohio. Certificates are among the fastest growing credential, providing workers with specialised and advanced training that demonstrates a greater understanding of the key attributes demanded by employers in specific industries. Applicants with NC3 certifications listed on their resume are viewed as highly skilled and committed job candidates. To date, NC3 has supported 110 000 students and awarded 180 000 certificates. In addition to Lincoln Electric, NC3’s industry partners include dozens of companies in a wide variety of industries, such as Snap-on, a high-end tools and equipment manufacturer; Fiat Chrysler Automobiles; 3M; Festo, an industrial control and automation company; and Trane, a manufacturer of heating, ventilating and air conditioning systems and building management systems and controls.